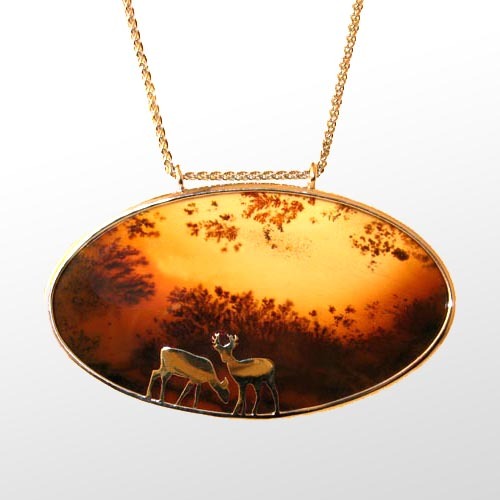 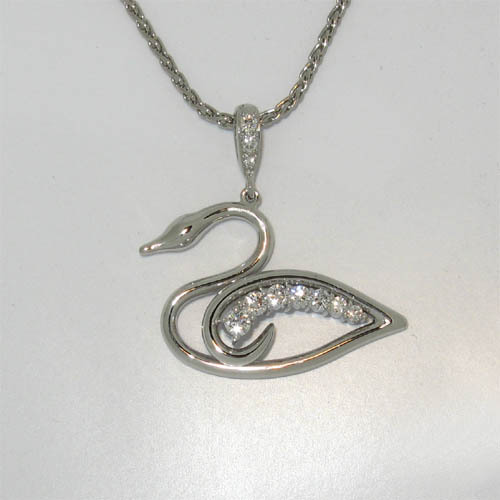 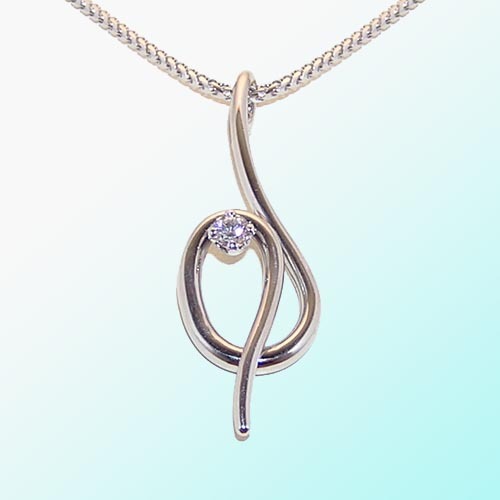 We design and make necklaces and pendants for the individual, to the highest standards of craftsmanship, for which we are known. 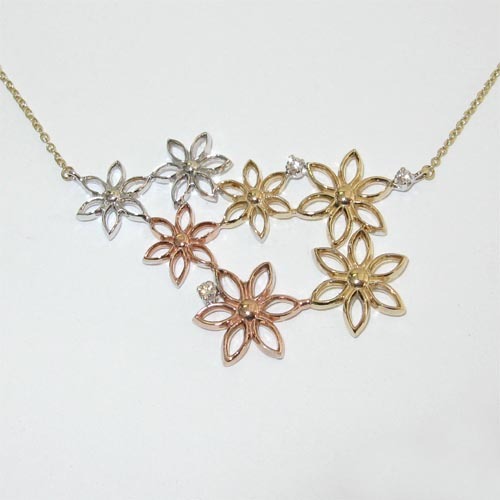 From delicate and intricate designs to bold statements, each piece is unique and designed to complement the wearer. 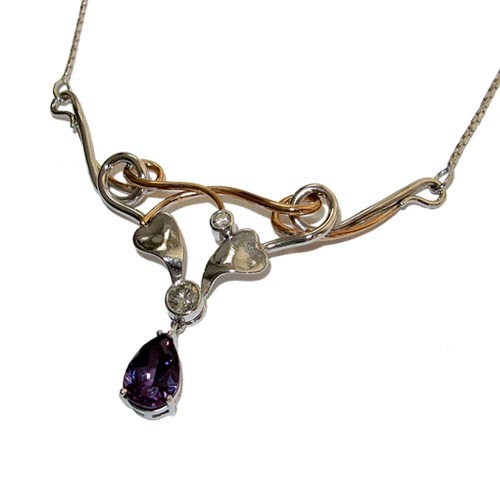 Using Diamonds, unusual Gemstones and striking elaborate designs, we can create a Bespoke piece to suit every individual taste and lifestyle. 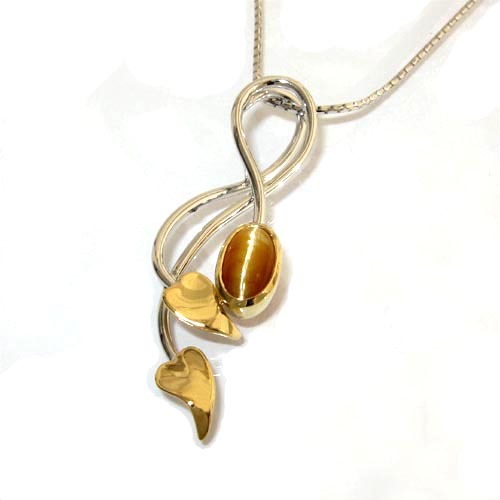 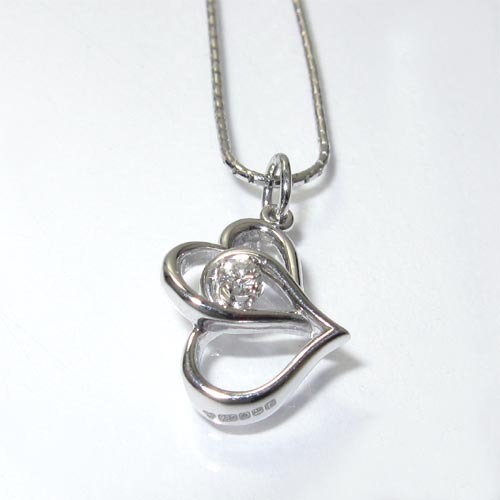 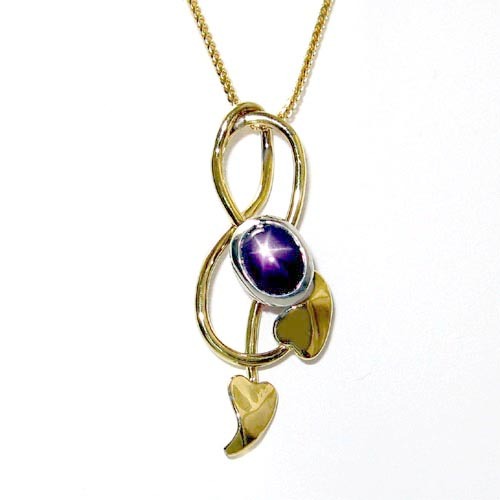 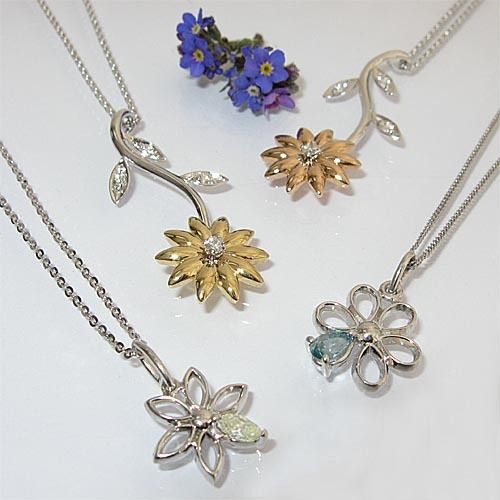 Please call in, phone or email us, to discuss your ‘Forever Special piece. 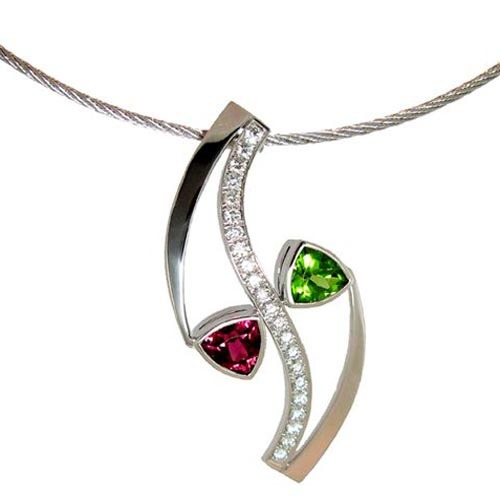 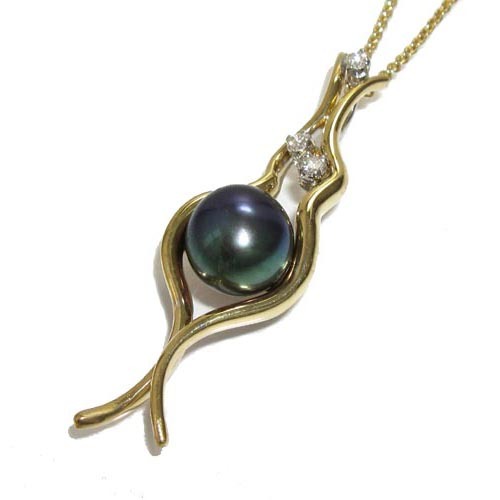 Unique 'Symmetry' Pendant with Tourmaline, Peridot & Fine Diamond. 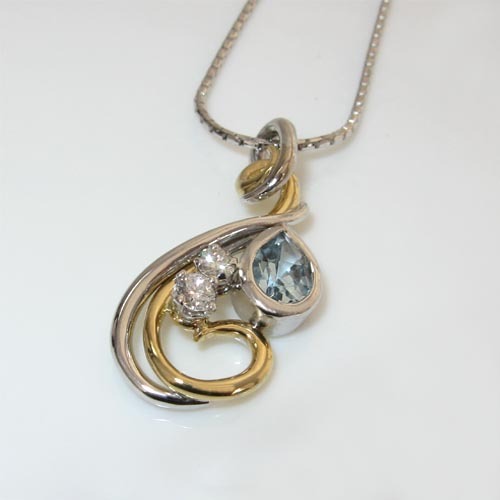 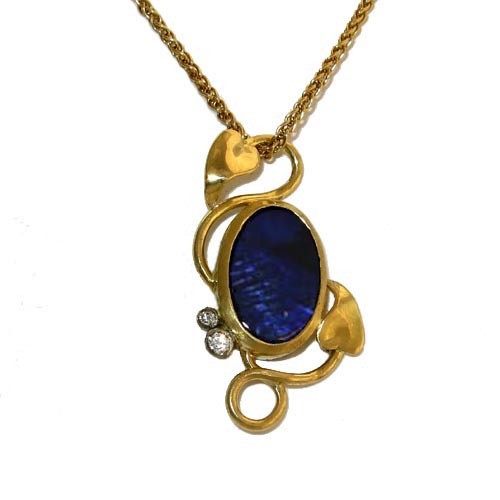 Unique Blue Opal and Diamond Leaf & Tendril Pendant. 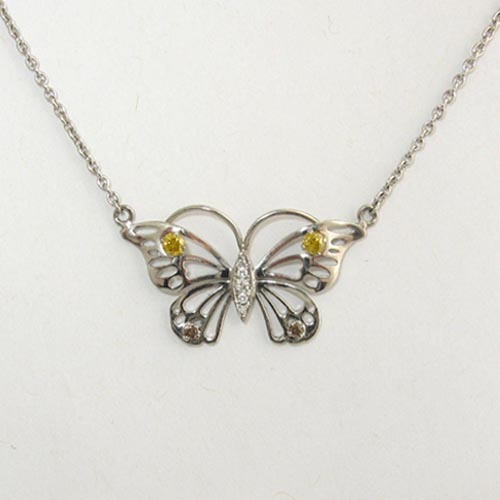 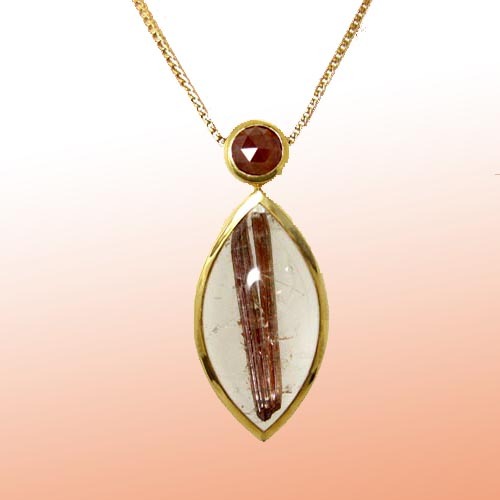 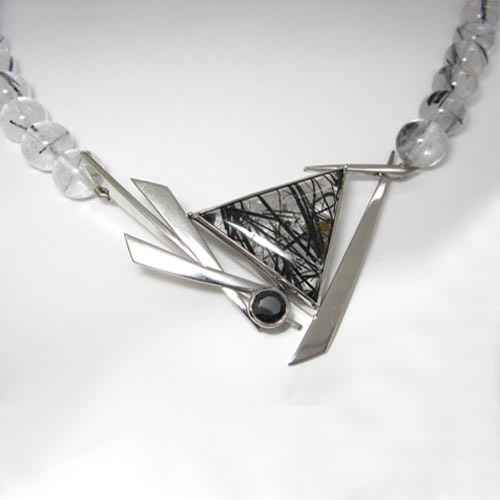 18 carat white gold Rutile in Quartz & Black Diamond Necklace. 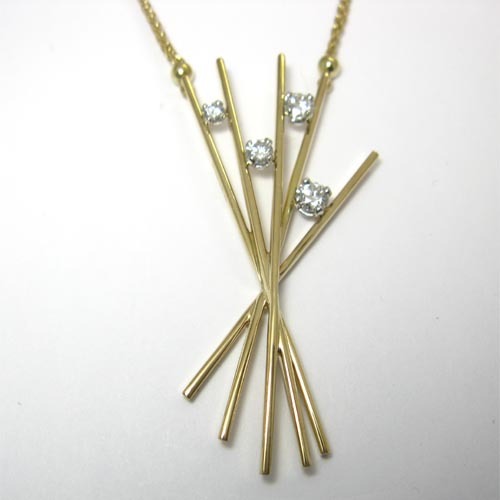 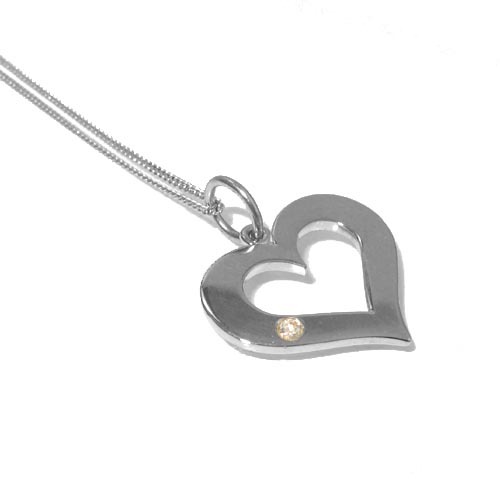 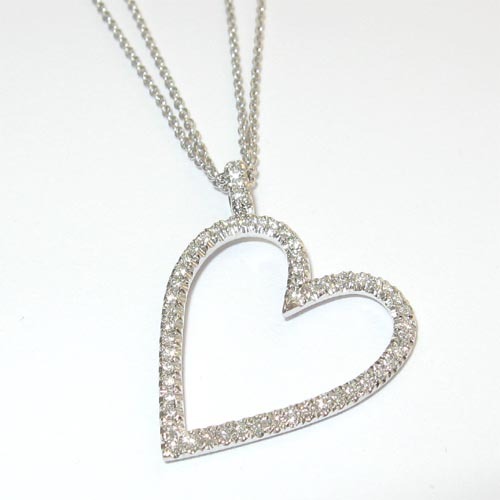 18 carat & Diamond 'Splash' Necklace. 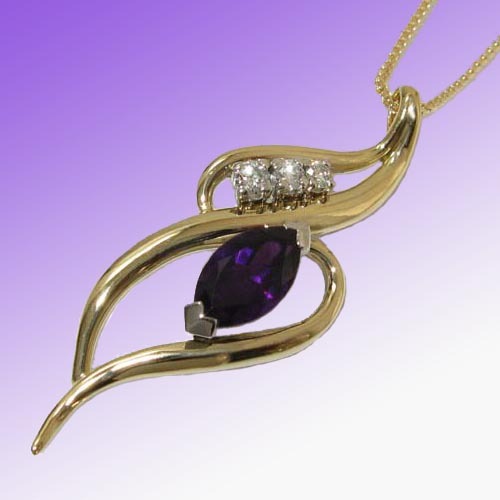 Jan & Tom Wightman Goldsmiths.